Lighter, greener car body panels could be produced, without any reduction in strength, thanks to research into graphene-enhanced carbon fibre composites. 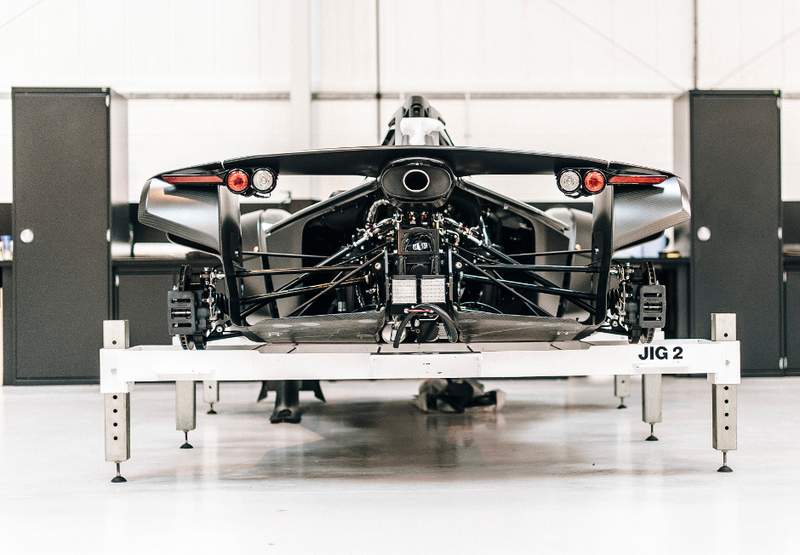 Briggs Automotive Company (BAC), the UK-based manufacturer of the world’s only road-legal supercar, the BAC Mono, has received funding from the Niche Vehicle Network to undertake research into the use of graphene in composite body panels. In 2016, BAC became the first manufacturer in the world to develop a graphene-panelled car, when it created graphene-enhanced carbon fibre composite wheel arches for the Mono. The new project, which also includes Haydale Composite Solutions and Pentaxia Composites, is aiming to take this development further. Graphene consists of one atom-thick sheets of carbon, and is stronger than carbon fibre and steel. As a result, its use in automotive manufacturing could decrease the weight of body panels by around 20 per cent, reducing carbon dioxide emissions without affecting the car’s strength. Graphene has also been found to increase impact resistance, for example to stone chips and ultraviolet degradation, according to Neil Briggs, co-founder and director of product development at BAC. To produce composite panels with graphene, the material is added to the resin in powder form. The resin is then pre-impregnated into the carbon cloth, which is cut and placed in the mould, before being cured under temperature and pressure in an autoclave. “So the graphene mixes with the carbon cloth, to make the material stronger,” said Briggs. As well as developing graphene-enhanced composite materials, the team also plan to build a novel carbon fibre composite tooling system with improved thermal conductivity. This should allow them to produce a new body panel system with improved mechanical and thermal performance. “By using graphene in the composite that is being used to make the mould, we match the co-efficient of thermal expansion of both the mould and the part, so that we get a better quality of part, a more consistent part,” said Briggs. This also means that the energy required to heat up the tool in the autoclave, and the time taken for it to heat up and cool down, is reduced, meaning the cycle time of the component is reduced. That reduces the overall cost of the composite part, said Briggs. The team will install and test the body panels on the Mono throughout the project, in a bid to reduce weight by 10 per cent, and manufacturing cycle times by over 25 per cent.